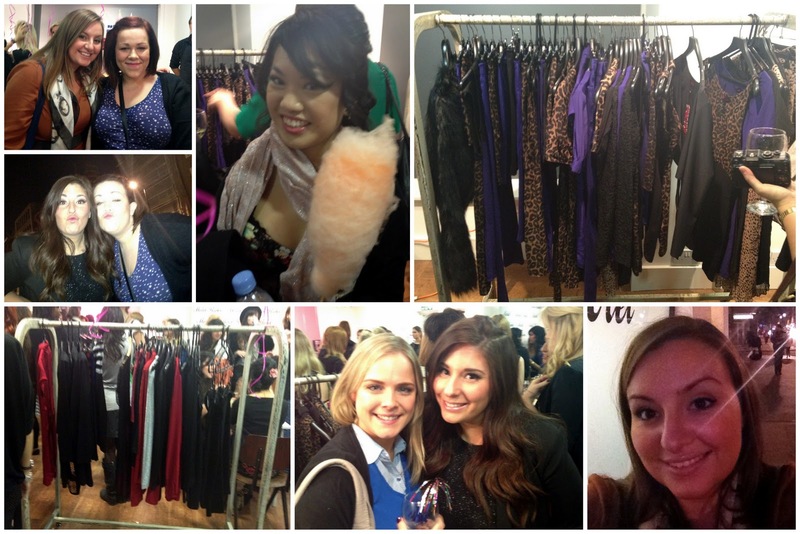 A rather long overdue post... a couple of weeks ago now I went along to the Motel Rocks bloggers evening. 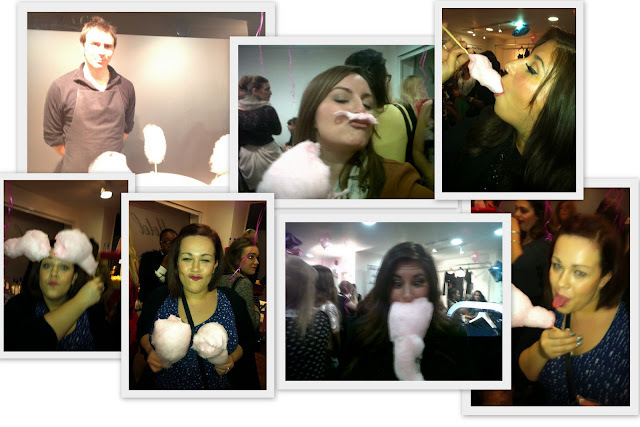 Randomly, there was a candy floss machine (with handy candy floss man to serve us) and a little naughtiness ensued. I'm blaming the sugar high! Madness aside, the point of the evening was the clothes, so here are my favourites from Motel's Christmas party dress collection. The lovely people at Motel are sending me my favourite dress - I chose the Bianca dress. I can't wait to get it and plan which of my Christmas nights out I'm going to wear it for. I've already decided which blazer and shoes I'm pairing it with and will put up a little outfit of the day showing how I accessorize the dress. Glossybox were also at the event and were offering a free November box to test out. I've previously subscribed (see my previous reviews here) but cancelled when the price increased. I didn't just cancel because the price went up, it was also because the products weren't always ones I liked or would use, and I decided the money would be better spent on something I'd chosen myself. 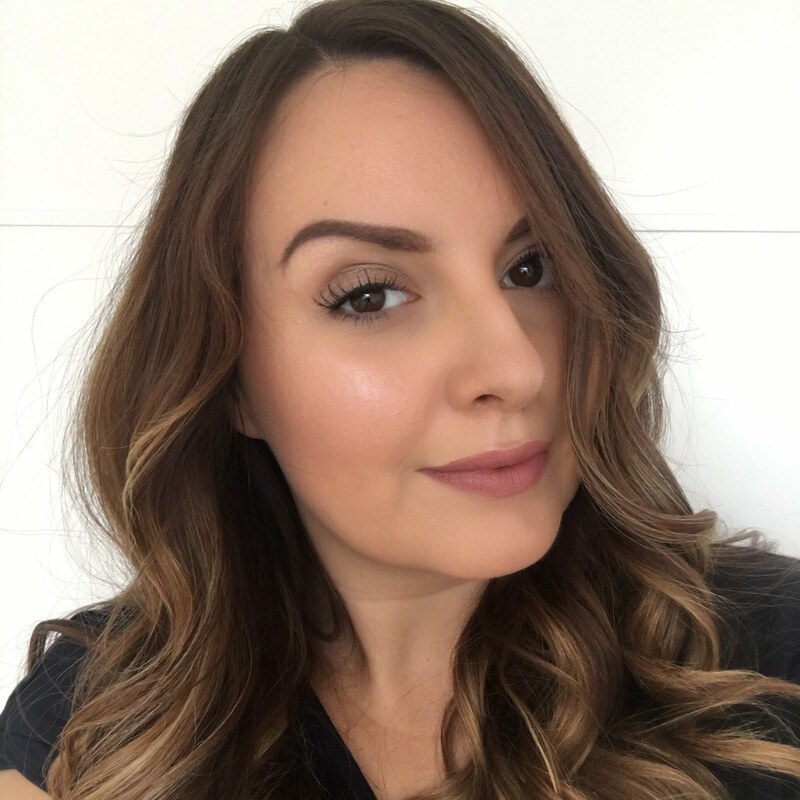 Opinions change from month to month though, depending on the contents of the latest box - I was kicking myself when I missed the box with the HD brows paletter, but other months I've been happy with my decision. Here's the November complimentary box I received. I feel bad for not loving this box, seeing as I've not had to pay for it, but I don't think this is one of Glossy Box's best. The bath salts are the stand out naff product in my opinion. They're something I associate with Grannies. I'll be giving these to my Mum, but even she's probably a bit young to be using them! The perfume sample is one you can get free at counters, so if I'd paid £12.95 for this box I'd be pretty angry to see this amongst the contents. The FC5 hand cream and Monu moisturiser are not all that exciting, but products I would use, so happy to have them in the box. Finally the nails wraps - they're a good item to have and I've bought from Nail Rock before (the cheetah print wraps), but I just don't like the pattern much and to be honest it's not all that hard to do stripey nails yourself, although granted they wouldn't be as straight! I'd have preferred a more intricate pattern. I got some nail wraps back with one of the early boxes when I was a subscriber, and again I didn't like the pattern. I think that's the problem Glossy Box face - they're trying to cater for a lot of different tastes all at once, so there are always going to be some disappointed people no matter what they put in there. For me, I think I'm just too fussy for any of the beauty boxes out there. After cancelling with Glossybox, I didn't sign up for Boudoir Prive, Feel Unique, or any of the others out there. I know what I like and what I don't, so I'm better off spending the money on something I've picked out for myself. Well at least that's my opinion until the next time there's a cracking product in the box like the HD palette or the Nars illuminator! 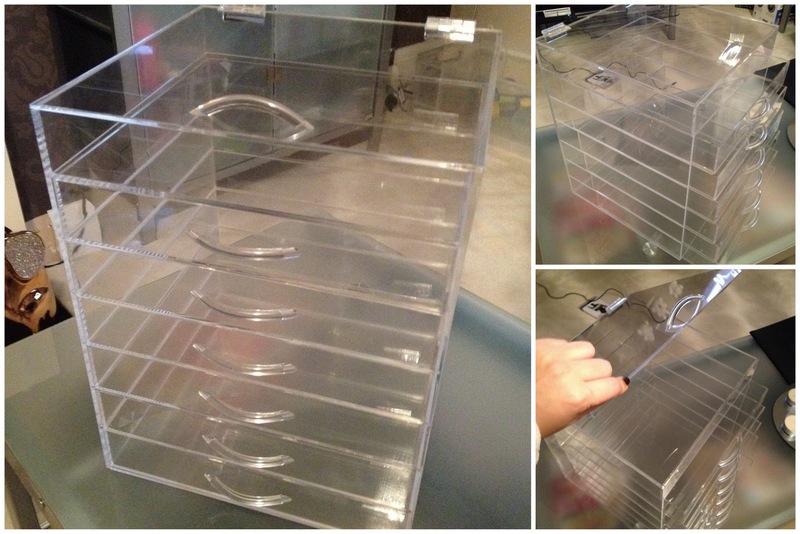 Be excited for the affordable alternative to the Kardashians' clear cube make up storage box - The Glambox! Don't worry, this is not a post about Kim Kardashian's divorce. I couldn't give a hoot about that, I'm much more interested in her make up collection! I've been coveting an amazing make up storage system ever since I first spotted the one Kim uses in the background of a scene on Keeping up with the Kardashians. It's like a clear acrylic drawer unit and she crams it full with the make up stash of dreams! I've since found out that all of the sisters and even their Mum Kris seem to have it (the lucky things!) and it's actually called a Clear Cube. Sadly I didn't immediately rush out and buy one as they're only available in the USA and cost $300 - OMG! So this started me off on one of those annoying obsessions where I'd frequently google different ways to describe the make up box, trying to find myself a more affordable alternative. This went on for months, seriously, so you can imagine that I almost slipped off the sofa when I recently stumbled across this by accident! I've been playing with my Glambox for a little while now and I'm so pleased I bought it. 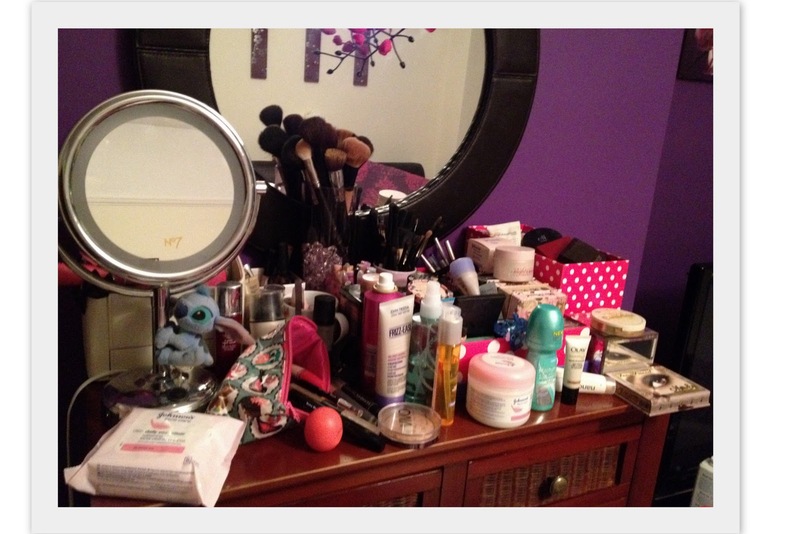 My make-up collection isn't as big or amazing as most beauty bloggers, but I still manage to make an absolute mess and leave products all over the place when I'm getting ready, so having everything so organized is amazing and so much less stressful in the mornings! Taaadaaaah! 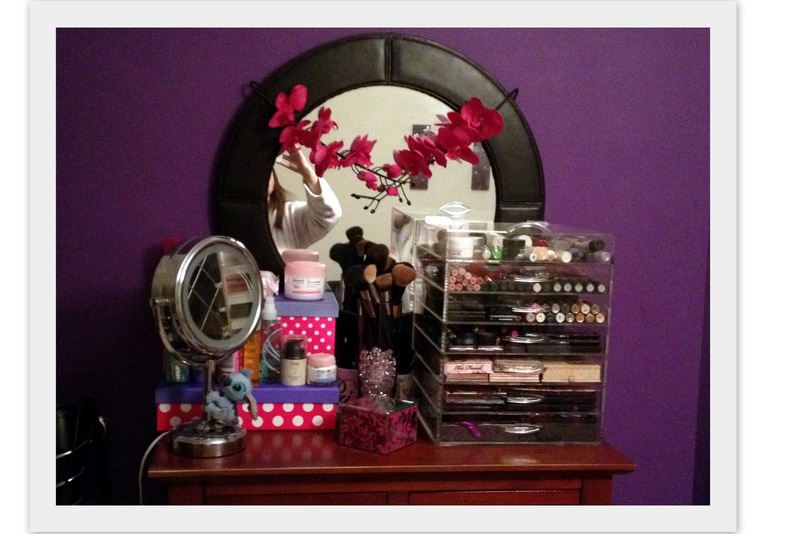 I can see the top of my dressing table again! 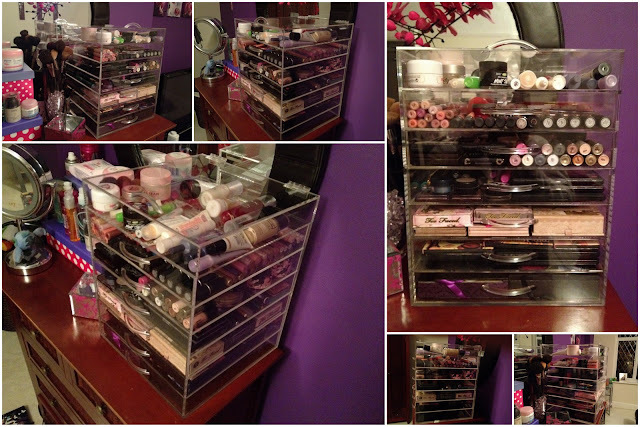 The Glambox has 7 drawers including the top one which has a flip top lid. Here are some more photos showing each one and what I've filled it up with. I've been changing my mind a few times about what goes where. I think it makes most sense for me to sort products by category, which is what I've ended up doing. I never realised how many palettes I have until I organized everything like this, I may need to put a stop to that little obsession! I understand that the company might start offering different sorts of dividers which you can use to separate things within each drawer (similar to what you can get with Clear Cube) but personally I'm quite happy with it the way it is. 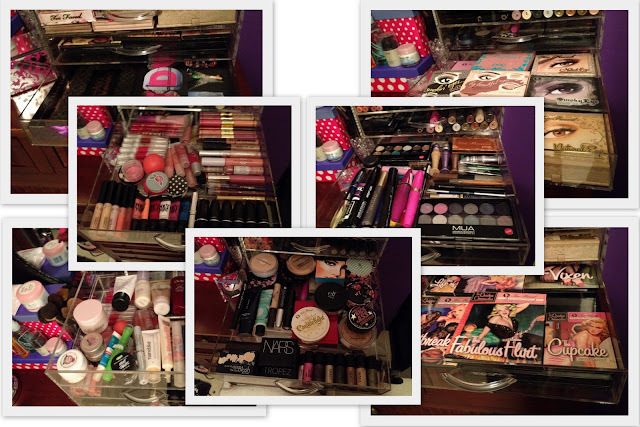 Originally I had my glambox lid open and flipped down behind the box, so that I could have products standing up. I was also thinking about putting my brushes up there in their holders, but then I changed my mind and decided I wanted the lid shut, which is how it is now and in these photos. 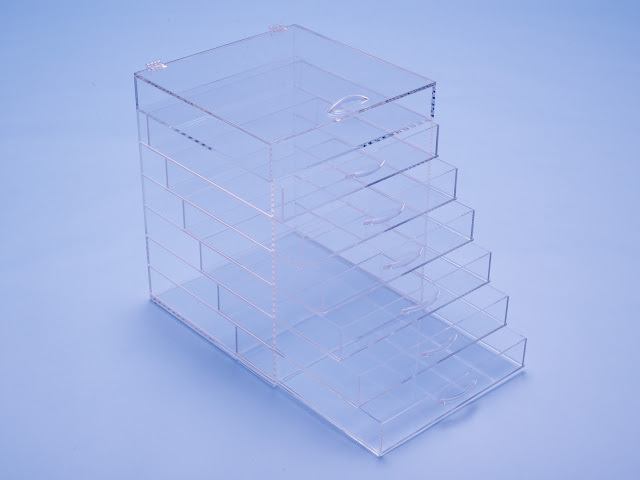 I'm so pleased I finally found a version of the storage system the Kardashians use but without the LA price tag. Obviously I don't have a Clear Cube to compare with, but I'm really happy with the quality of the Glambox. It's made such a difference to the way I use my make-up - products that were languishing unloved and hidden are now on full display and I'm using different things every morning instead of just reaching for what was at the top of my make-up bag / drawer / pile! The title of this post does not lie! When my lovely friend Poob (obvs that's a nickname) told me and our other mates about a nail supplies shop that sold China Glaze for £2.50 we were on it like Sonic. I even took a day off work to go there! Here's the full haul - this came to just £45! The shop is in Peckham - not my neck of the woods, but well worth the journey - and it's called Hollywood Nail Supplies. They have a website but it's absolutely awful and they don't seem to sell any of the good stuff online, so best to get down there and get involved! They pack the shop like crazy so there's loads to look at and lots of hidden gems to find. Sadly they didn't have any of the new Christmas collections from OPI or China Glaze (ie muppets, let it snow and eye candy) but at these cheap prices I couldn't complain. I can't explain my love for this coconut melon scent, I'm even having a sniff of it as a right this like some sort of addict. They also had this in the 700ml (I think that's right - it was 20 oz?) for just £7! China Glaze polishes were £2.50 plus when you bought 5 you got one free, so I got 6 for £12.50! And then I picked up two glitters. The gold one has a worn label as you can see, and no label on the bottom, so I don't know what it is, but it's a heavy gold glitter. I wonder if it's from a previous crimbo collection? And on the right is grape juice which is a glittery purple. 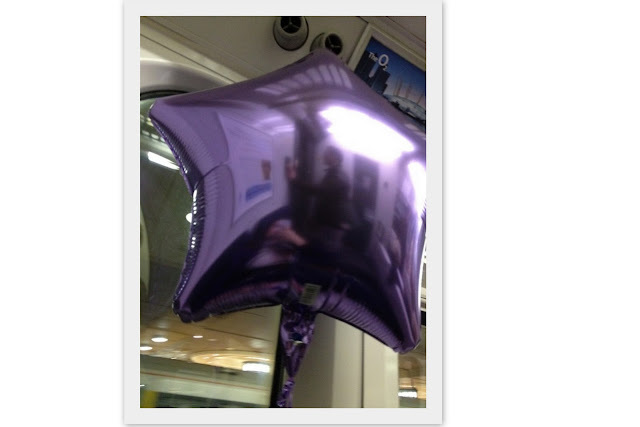 I'm wearing grape juice at the mo, and it looks like this. Excuse the tip wear, I've had it on a couple of days and have been doing lots of furious typing at work. OPI polishes were just £5 and although they didn't have the newest stuff, they did have crackles and the Katy Perry collection so I bought teenage dream and last Friday night. How gorge are they? I bought the Katy Perry minis for my friend for her birthday in the summer and am jel every time she wears them, but now I can join in on the glitz-fest too! There wasn't a wide selection of Orly and I couldn't really spot any colours I liked or recognized apart from this glittery red which is called Star Spangled. I'm not sure how much Orly polishes usually cost in the UK, but this was £3.50. I stocked up on my favourite Seche top coat as it was just £3.50! The lovely lady who owns the shop was showing us all sorts of polishes and things and was putting nail wraps on my friend. She showed us magnetic polishes and seemed a bit surprised when I told her I already had some! But, I was really interested in this magnet that she had with straight lines - the ones that come with the polishes usually have a curved line so I thought I'd try this for a different effect as it was only £2. I had hoped the shop would have some more of the Seche range as I wanted to try their base coat, but they didn't sell it. Instead I was recommended to try this CND stickey base coat instead so as it was only £3 I decided to get it. I've only tried it once so far, but it seems pretty good. So are you amazed at my China Glaze bargains or do you all have shops like this near you? I find it hard to even come across online stores selling China Glaze in the UK, so I was pretty pleased! I still don't really understand the whole 'Sally's' thing, so I'd be grateful if someone would let me know in the comments - do you need to prove you're a beauty professional to shop there and do they have prices as good as this? I've had such a stupidly busy time with work this week that there's not been much time to get up to any other excitement or to blog. Next week's going to be just as busy too, but ah well, it's not forever. So here's what I've been up to this week aside from working really hard! I bought these boots from Dorothy Perkins and I'm so happy because they fit my chubby calves and I actually like them too! They were £60 but I got 20% off which made them £48. Today I'm reviewing Lush's lemony flutter cuticle butter - love the name! I actually heard about this a long time ago and made one of those mental notes to buy it, but then completely forgot. 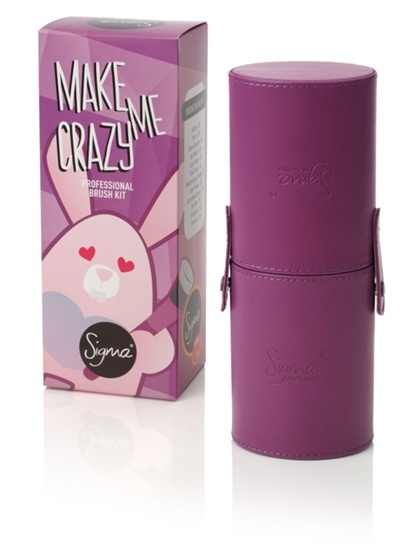 I was reminded when I saw it on Stina's blog recently and bought it next time I was in Lush. When I picked up the tub in the shop it was a little bit smaller than I was expecting - as you can see it fits in the palm of your hand. It costs £5.95 and for that you get 50g, although having now tried it for a few days, I can see it's going to last me a very long time as you only need a teeny amount because it's very rich. The cuticle butter smells extremely lemony and in my opinion really lovely. As I said a little bit like I have in the picture below is more than enough to do all of your fingers and you'll have some left for the rest of your hands too. I can get really dry and rough cuticles in the winter and get tempted to nibble at them to tidy them up, although this just makes them worse - so this is an ideal product for me. The skin around my nails feels and looks instantly moisturised when I use this and that feeling lasts for hours. I'm really impressed with this product and will definitely buy it again. And of course the best thing about shopping at Lush at the moment is the fab candy cane handles bag! I also bought some of the lovely Lush Christmas range, but I can't show you what I got as they're for Christmas presents and some of my friends have beady little eyes and will snoop! While you're there, why not have a peek at my blog sale here? 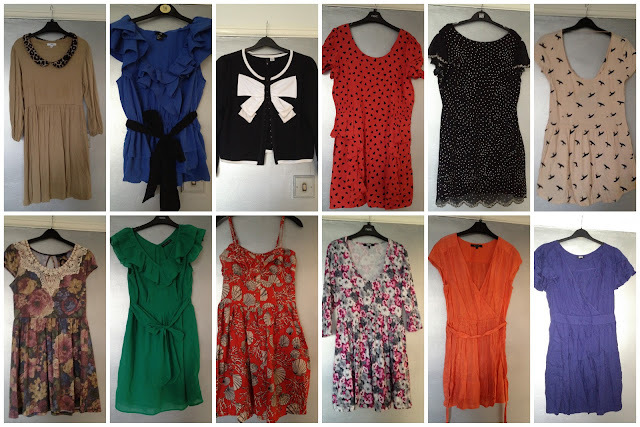 Clothes blog sale now live, sizes 8, 10, 12, 14 and 16! The glitter is suspended in clear nail polish, so I used Nails Inc George Yard as a base coat - it's a pale metallic gold. Blingtastic! Helen from just nice things on twitter said it looks like my nails are covered in treasure! I like this analogy! I've not been able to stop staring at my nails for the last few days and everyone's been asking what polish I'm wearing. I've used just one coat of rainbow connection here and I moved the chunks about a bit with the brush to get a more even spread across the nails. You can also build the polish up with several coats to get a full on glitter look more like as it appears in the bottle. I can't wait to try out some others from the muppets collection. I went off glitter polishes ages ago, but now they're back with a vengeance and I can't get enough of them! 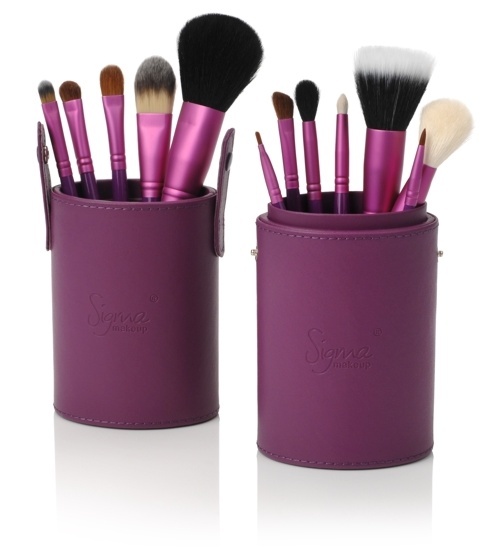 I've literally had these Sigma brushes on my Christmas wish list all year and am so excited because the bf just ordered them online, wooo! 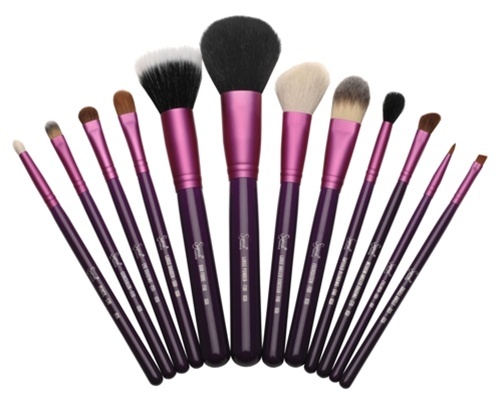 If you're wondering, the brushes came to £75 when converted to Sterling and including the shipping and discount. You can buy them here. What was the first thing on your Christmas wish list this year?